Elke Baker is a veteran dance musician and concert performer. Since her first Scottish dance class in college, she has made Scottish dance music a central focus of her playing, and is a regular at Scottish dance weekends, camps, and balls across North America and indeed around the world. She's a former U.S. National Scottish fiddle Champion, Washington Conservatory of Music faculty member, Artist-in-Residence at Montgomery College, and Arts panelist at Harvard University, and has performed at venerable venues such as the Kennedy Center, Hylton Performing Arts Center, and the Birchmere. She teaches the joys of Scottish music to countless students, most especially through the Potomac Valley Scottish Fiddle Club, which she has taught for 23 years, and at the Ohio Scottish Arts School at Oberlin. She has recorded several SCD albums and a good number of listening albums. Playing Scottish music for dancers is one of her very favorite things, although dancing runs a close second. Liz Donaldson plays piano and accordion. She is known for her innovative back-up style incorporating exciting rhythms, textures, and harmony lines in her music. In addition to playing for Scottish, English and American contra dances, Liz teaches all these styles, and dances, too! She is a member of Terpsichore, Waverley Station, and The New Hip Trio. Her recordings include: Caledonian Muse, Terpsichore, Scottish Dance Music, Waverley Station: First Stop! Memories of Scottish Weekend ('98) and More Memories of Scottish Weekend ('02), as well as English Echoes: English Country Dance Favorites ('06) and now English Echoes II: more English Country Dance Favorites ('18). Liz has two books of Scottish tune medleys. Liz has taught and played at numerous dance weekends and music workshops including Scottish Weekend, Pinewoods, and Asilomar. She is a 2018 recipient of the Royal Scottish Country Dance Society's Scroll of Honor. For more information see Liz's website at lizdonaldson.com. Photo by Ken Graham. Guest David Knight, fiddle, got into Scottish fiddle through a misunderstanding that arose out of his interest in Scottish punk and alternative bands. It was a happy misunderstanding that got him into Scottish Country Dancing by the age of 15, into teaching Scottish Country Dancing by the age of 21, and getting his preliminary certificate to teach at St. Andrews, Scotland at the Summer School of the Royal Scottish Country Dance Society in 1993. David has been playing for dance, performance, theater, and fun since around 1991. 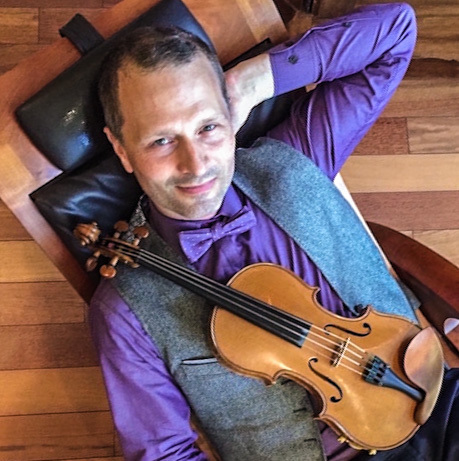 He has played for dance and performance events in Canada, Croatia, France, Scotland, most of the Eastern and some of the Western United States. No territories yet. 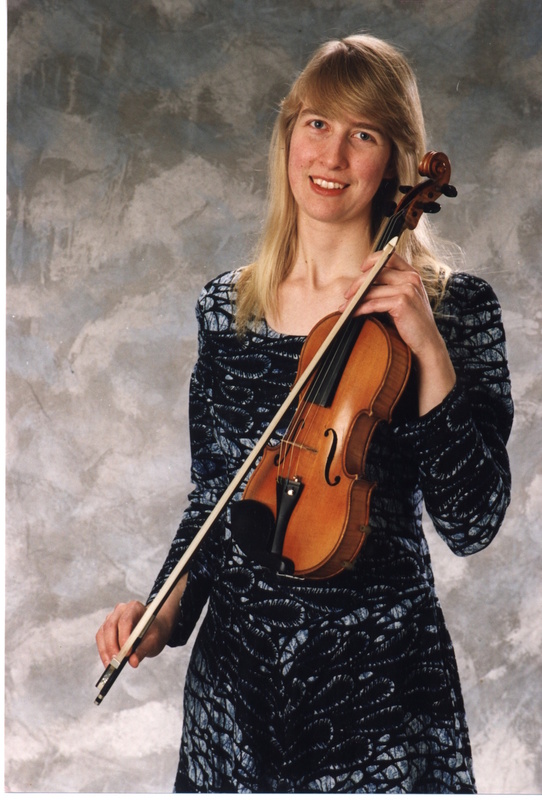 Becky Ross, fiddle, was classically trained on violin during her schooldays but was drawn to begin playing again in 1991 after discovering Celtic fiddle music. She plays regularly for Scottish and English Country Dances. Becky is known for her rich tone and sensitive emotional connection to the music, whether that is a sorrowful Scottish lament, a majestic march or a driving reel. Becky performs with several groups including Peat & Barley, The Homespun Ceilidh Band, the English and Scottish dance band Elegant Echoes, and the 18th-Century music trio Tasker's Chance. She is a founding Board Member and current President of the Potomac Valley Scottish Fiddle Club, a non-profit group promoting Scottish fiddle music. To learn more about Becky, visit her website at http://www.peatandbarley.com. 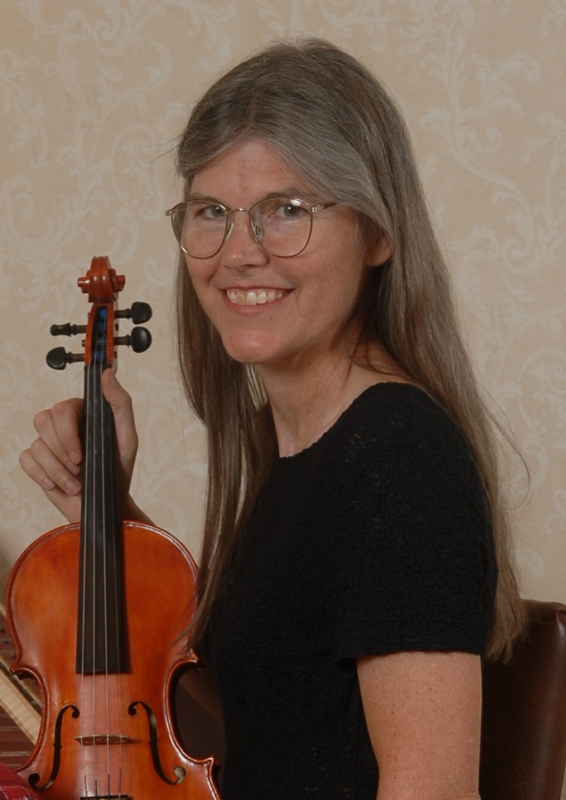 Julie Gorka (photo coming soon) plays contra dance, Scottish, historic, English, and Irish music on piano, fiddle and harp. She plays with many musicians in the Triangle area of North Carolina, and at workshops around the East Coast. Julie has a degree in piano performance, and teaches 28 Suzuki piano students. She judges around the country for the national Piano Guild, and teaches master classes at nearby schools. She enjoys working folk music styles into her classical piano students' musical education. Mara Shea and Julie lead a Celtic music students' band, The Highlanders. Julie has two recordings, A Sheep at the Wheel (Scottish and English music) and more recently a waltz CD, In 3/4 Time, with fiddler Mara Shea and others.